The Verizon Moto X’s Android 4.4 “Kit Kat” update is rolling out as I type this to a number of devices. 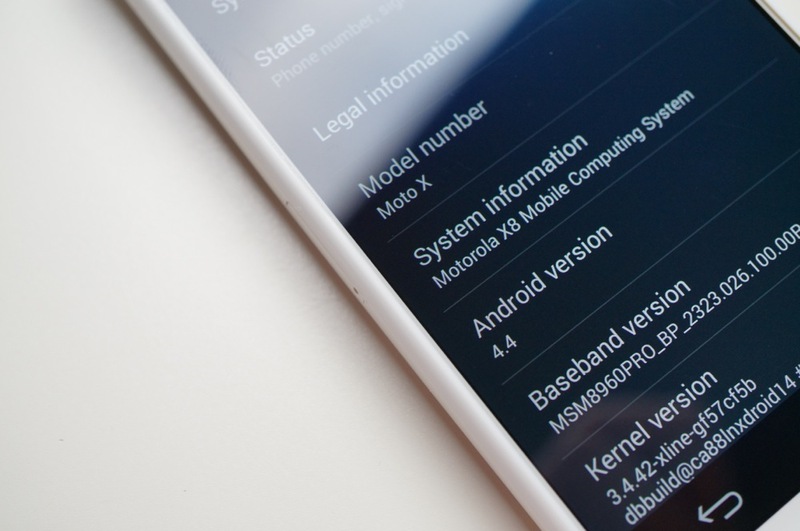 Motorola told us that the rollout was staged, but we were able to pull it immediately once it went live, along with many of you. In fact, we’ve already done a hands-on video with it and showed you how to get Google Wallet Tap & pay up and running. But if for some reason you weren’t a part of that initial push and are stuck waiting for the update to arrive, we have the file for you to sideload thanks to @P3droid. You’ll have to be stock, unrooted in order to flash this file through the stock recovery. *Note – I have not personally flashed this file as my VZW Moto X received the update OTA. If you choose to do so, you do so at your own risk. *Yes, the file is named 139.15.1 because that’s how Motorola update files work. They name them with the build number you are currently on. Once updated, you will be on build 140.45.5. 2. Once downloaded to your phone, power it off. 3. Boot to recovery by holding Power + Volume Down for a few seconds. Let go. 4. Once the Fastboot screen loads, hit Volume Down to highlight “Recovery,” tap Volume Up to select it. 5. A green Android should appear. Tap Power and Volume Up slightly to enter recovery. 6. Choose “apply update from sdcard” by hitting Volume Down to highlight, Power to select. 7. Find the file you downloaded to your internal storage. 8. Highlight it using Volume Down, select it with Power. 9. Watch your phone update. Feel free to check out @P3’s Moto X dev community over at Google+.